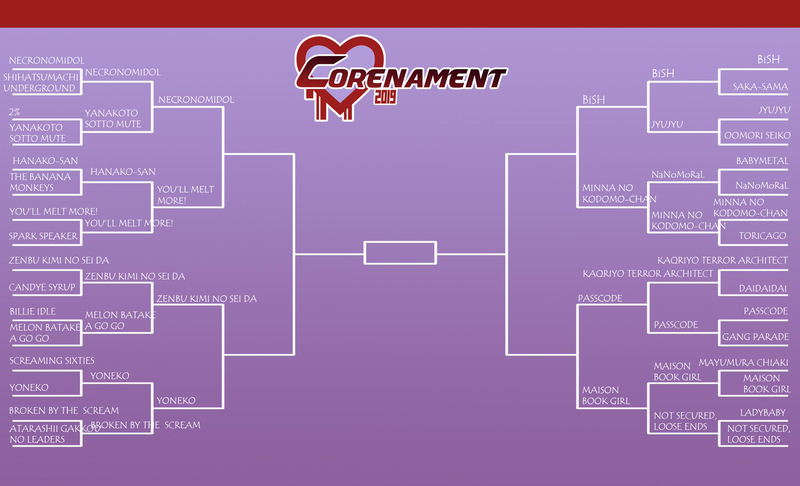 Dang, you guys, this year’s Corenament — sans the usual convoluted rules, sudden twists and manipulative attempts to drag things out — has tons of cool turns anyway. I like it! Yesterday, we wrapped up the Sweet Sixteen (parts 1 and 2). I was out watching some of the regular men’s tournament and not-enjoying having all sense of goodness and right trod upon several times in quick succession. It was rough! But not as rough as seeing quite a few personal favorites get eliminated from this annual extravaganza. Today begins our Elite Eight, to run through tomorrow before next weekend’s big Final Four showdown. This is no tricks, no frills, just straight-up MV vs. MV battles for supremacy and the coveted championship belt fanfic post. Oh, and being treated like royalty by editorial policy, too, I guess. That’s a lot of 1s left to fight, but who doesn’t love how Kyoto turned out too? Just like last year, we’re setting ourselves up for a potentially shocking finish. And only Zenkimi’s left to protect Codomomental’s honor! Wild.